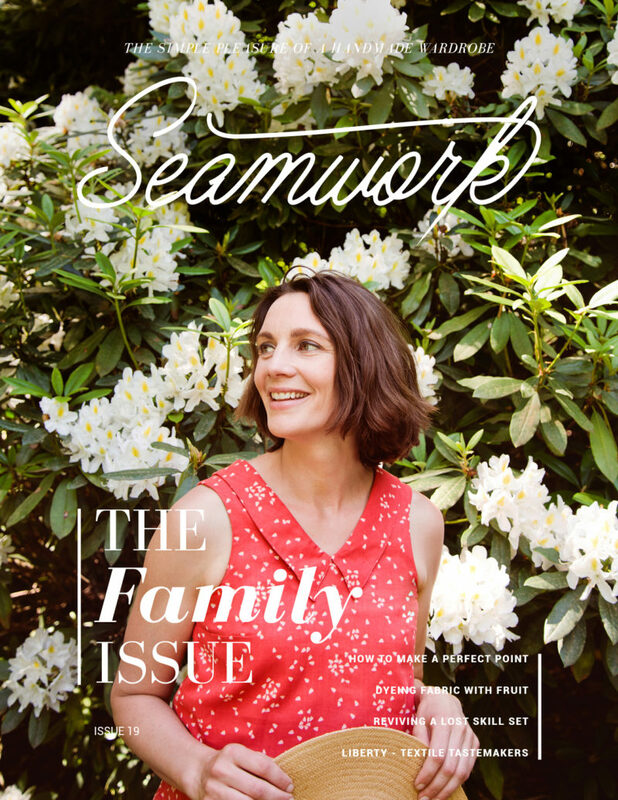 The June issue of Seamwork is up and ready for you to read! In this issue we explore the theme of family, the family ties that are strengthened through sharing the craft of sewing, and the families we build ourselves with those who share our values. Though sewing is an often solitary hobby, the opportunities for growth and community it provides are vast. Through passing along the art of sewing to younger generations we strengthen bonds and grow our community of vibrant makers. This month read about the generous act of teaching in the letter from the editor and Sewing Lesson. Learn to dye with fruit (the perfect summertime craft to share with the kiddos in your life!). 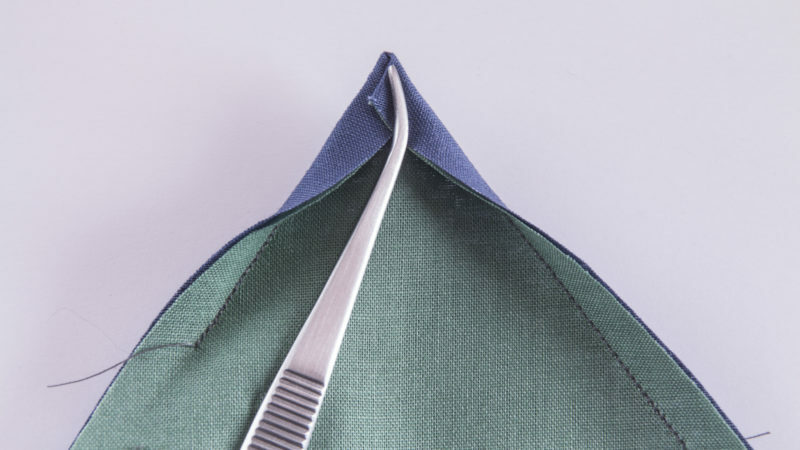 And pick up a few tricks on turning precise corners from sewing guru, David Page Coffin. Who Taught You? : The revival in sewing has connected women of all generations. Handmade Beauty: Make a cleansing and soothing powdered face wash, by Kat Siddle. Block Paper Scissors: Create a sweet peter pan collar variation for Addison, by Anna Aguirre. Fashioning Old into New: Make stylish new garments from existing ones, by Jessica Yen. How to Make a Perfect Point: The secret is in the folding, by David Page Coffin. Liberty of London: Fashion’s textile tastemaker, by Betsy Blodgett. A Complete Guide to Fashion Sketchbooks: The unexpected must-have for all sewists, by Jenny Rushmore. Dyeing Fabric with Fruit: Use nature’s bounty to create beautiful fabrics, by Aneira Davies. 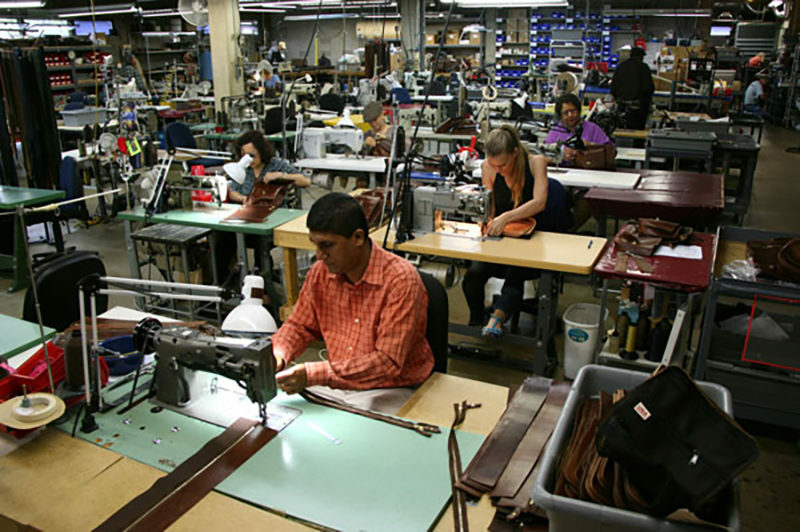 Made in America: Reviving a lost skill set and building a community by reshoring garment manufacturing, by Betsy Blodgett. 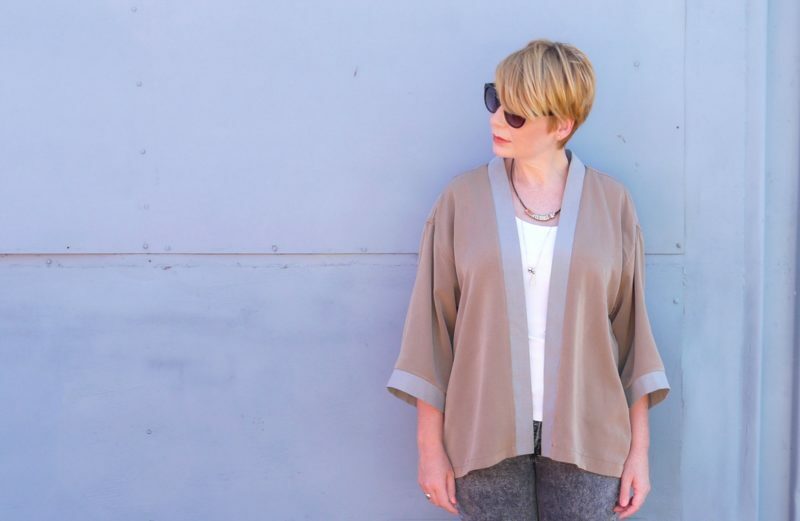 Seamwork Style: Mix and match Addison and Weston for a unique me-made look. Swatch Service: This month, we looked for lightweight wovens for the Addison top, and heavier, bottom-weight fabrics for the Weston shorts. Sewing Specifics: Finish and embellish in the same step with peek seams. A Transgenerational Quilt: An imperfect lap quilt connects three generations of women, by Megan Hippler. Behind the Seams: Take a look inside an unconventional 1960s cocktail dress. The Seamworker’s Guide toTokyo: Get the inside scoop on fabric and supply shopping in Tokyo, by Jenny Rushmore. -Portia Lawrie reflects on the creative challenges of refashioning in Fashioning Old into New, by Jessica Yen. -Betsy Blodgett dives deep with the companies that are providing the training necessary to reshore garment manufacturing in Made in America . -Sarai Mitnick explores the gift of sharing sewing in Who Taught You? -Do you struggle with point turning? David Page Coffin is here to help with his article How to Make a Perfect Point. 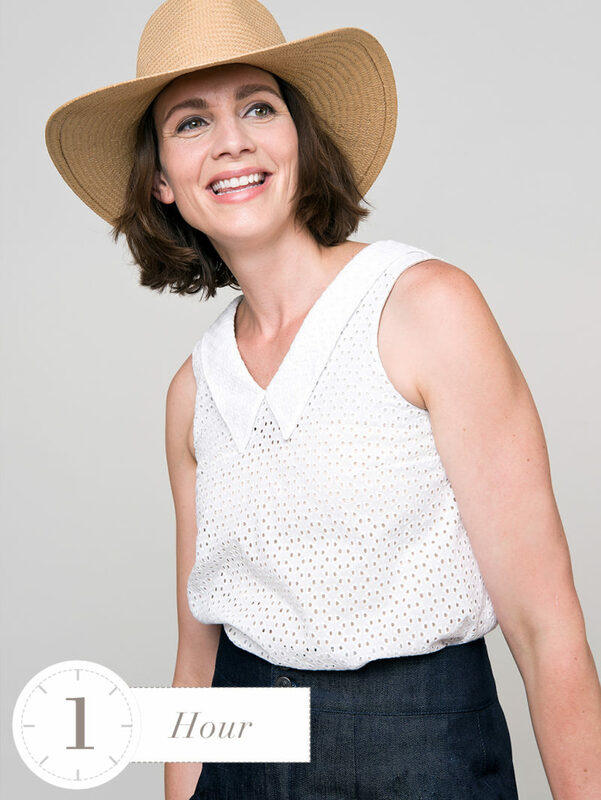 The Addison top is a simple and pretty woven tank with a sweet collar. In an easy slip-on style this top would be perfect in cool and breezy rayon or lightweight linen. It’s perfect when you want to keep cool and still feel a little dressed up (and it pairs well with a cardigan at the office, too). The Weston shorts are classic high-waisted shorts modeled after the flattering but casual sportswear of the 1950s and 1960s. Shorts like this are classic for a reason. The article on made in America is great. I’d love to see an interview with Alabama Chanin at some point as they’re doing similar work. I love the patterns this month! Great issue! That’s a great idea. Thanks for the suggestion! My favorite Seamwork magazine and patterns to date! Super excited to tackle my first zipper fly!! After I whip up the top, that is. Happy to hear that! You’ll have fun with the zipper fly, promise. Hmm, a NBAAY adjustment? :) We don’t have one, but you could perform a small bust adjustment using her measurements. It may just end up removing the darts, which is another option. You can use the bust adjustment steps from Aster here to start! I’d love to see what you make for her! That’s lovely. This issue really made me want to hear how everyone learned how to sew. Imagine the stories! Those shorts have a great shape. Hope the members hack is an extension into pants. I think they’d make really good pants…. :) yes, I love be my junipers but I’d love a simpler pair of pants with this waistband and no pockets …. please??? I mean all my junipers – darn autocorrect! My mum didn’t have the patience and we both ended up frustrated. Following the Colette handbook and the tutorials on the blog I learned how to sew with my iPad next to my machine and going really slow. My grandmother didn’t really sew and my mom doesn’t as much as she used to when money was tight. I am trying to fit a muslin for the Addison, and I have gotten as far as lowering the dart to match my apex and cutting out a size 26 based on my full bust measurement. I read that Collette patterns are already drafted to fit up to DD, so I gave it a try When I basted in the dart and the seams, it was too big. The shoulders were too wide the armholes much too low and gaping. And through the full bust, it had much more ease than I think I need. A 24 would be a better fit there. If I use my high bust size of 48 to decide the size, the size chart says size 20! So I’m trying to decide my next step. I can try cutting out a 24 and use the multi size lines to grade down to a 20 at the top, or start with a 20 and do an FBA (my first) and adjust the side seams out to a 24 at waist and hips. Any advice? And ARE Seamwork patterns already adjusted to a full bust? Great question. Yes, for both Colette and Seamwork patterns we fit to a C cup and grade up to a DD cup starting at size 18. If you take a peek at the finished garment measurements chart, you can get a better idea for the ease. You can even compare it to the ease from a shirt that fits you well to find a similar fit. If too much ease is your biggest concern, it sounds like you should cut a size 20 and do a full bust adjustment. You can check out the Sewalong for Aster for great guide to bust adjustments! Love this combo of patterns! but can I just offer a suggestion on your patterns? 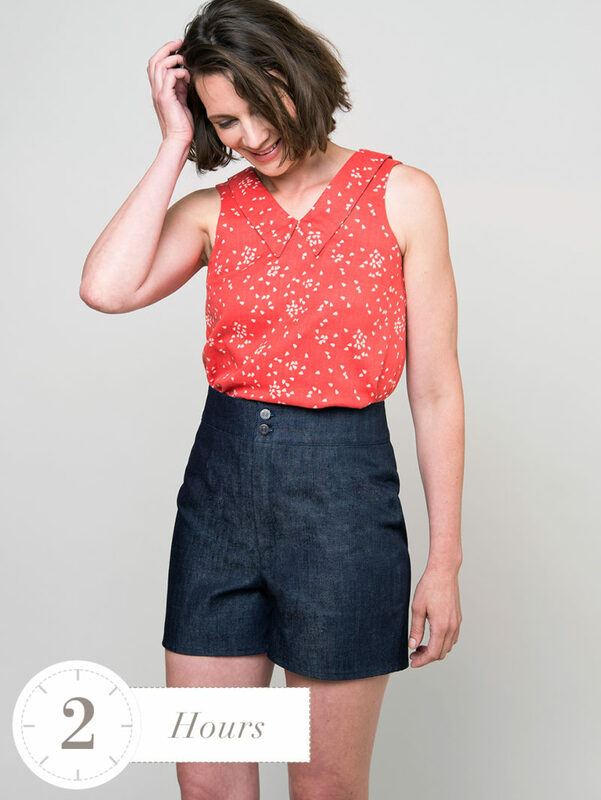 While I’m in love with the whole “less waste/no waste” garments and using scraps that you rave about and encourage in your magazine, I’m finding the sentiment a little lacking when it comes to your patterns. the layout and the amount of excess paper used for printing is definitely not economical and is quite wasteful. Are you planning or considering making your printable layouts more economical, so they use less paper and therefore less waste? Because right now, although I love the patterns, the waste of excess paper is a huge turn off for me! Thanks and happy crafting! Thanks for the feedback, Annmarie! Right now, the patterns are formatted for both letter and A4 sizing, but we are working on changing some templates around for the future, so we will keep this in mind. As a Seamwork subsriber, I received esterday the Addison bow bonus pattern and I wanted to thank all of you because I love it almost more than the original Addison collar. You made a wonderful work. Please do not stop!